Indicate by check mark whether the registrant is a large accelerated filer, an accelerated filer, a non-accelerated file, or a smaller reporting company. The issuer had 83,939,709 shares of common stock issued and outstanding as of May 14, 2015. KonaRed Corporation (“KonaRed”, "KonaRed Corporation", "us", “we”, the “Registrant”, or the “Company”) was incorporated in the State of Nevada on October 4, 2010 as TeamUpSport Inc. Prior to, and in anticipation of, closing of an asset purchase agreement (the "Asset Agreement") with Sandwich Isles Trading Co, Inc., on September 9, 2013 our company effected a name change by merging with our wholly-owned Nevada subsidiary named “KonaRed Corporation” with our company as the surviving corporation under the new name “KonaRed Corporation”. On October 4, 2013 pursuant to the terms the Asset Agreement, we acquired substantially all of the assets, property and undertaking of the health beverage and food business (the "Business") operated under the name “KonaRed” from Sandwich Isles Trading Co., Inc. ("SITC") which was a private company incorporated in Hawaii on August 22, 2008 and dissolved on May 23, 2014. As a result of October 4, 2013 acquisition of the Business from Sandwich Isles Trading Co., Inc. ("SITC") we ceased to be a “shell company” as defined in Rule 12b-2 of the Securities Exchange Act of 1934 (the “Exchange Act”). We determined to treat the acquisition as a reverse recapitalization for accounting purposes, with SITC as the acquirer for accounting purposes. As such, the prior year financial information, including the operating and financial results, audited financial statements, included in this annual report on Form 10-K include the results of SITC for the period from January 1, 2013 to October 3, 2013, rather than that of our predecessor company TeamUpSport Inc. prior to the completion of the Asset Agreement. On September 9, 2013, we effected a 13.5 to one forward stock split of our common stock. The securities of our Company referred to in these financial statements are the securities subsequent to the forward stock split. The preparation of these financial statements in accordance with United States generally accepted accounting principles requires management to make estimates and assumptions that affect the reported amounts of assets and liabilities at the date of the financial statements and the reported amounts of revenue and expenses in the reporting period. The Company regularly evaluates estimates and assumptions related to recoverability of long-lived assets, and deferred income tax asset valuations. The Company bases its estimates and assumptions on current facts, historical experience and various other factors that it believes to be reasonable under the circumstances, the results of which form the basis for making judgments about the carrying values of assets and liabilities and the accrual of costs and expenses that are not readily apparent from other sources. The actual results experienced by the Company may differ materially and adversely from the Company’s estimates. To the extent there are material differences between estimates and the actual results, future results of operations will be affected. The Company’s financial instruments consist principally of cash, accounts receivable, inventory, accounts payable, notes payable and related party debt. The Company believes that the recorded values of all of these financial instruments approximate their current fair values because of the short term nature and respective maturity dates or durations. The Company considers all highly liquid instruments with maturity of three months or less at the time of issuance to be cash equivalents. There were no cash equivalents recorded for the periods ended March 31, 2015 and December 31, 2014. Trade accounts receivable are periodically evaluated for collectability based on past credit history with customers and their current financial condition. Bad debts expense or write offs of receivables are determined on the basis of loss experience, known and inherent risks in the receivable portfolio and current economic conditions. During the periods ended March 31, 2015 and March 31, 2014, the Company wrote off accounts receivable totaling $nil and $nil, respectively. There were no allowances for doubtful accounts recorded for the periods ended March 31, 2015 and December 31, 2014. Inventories are composed of raw materials and finished goods. Our raw materials inventory is comprised of dried coffee fruit and other input components, such as labels, caps, and packaging materials. Our finished goods inventory process begins when we take possession of dried coffee fruit from coffee growers in Hawaii. We then ship the raw material to our California warehouse for storage and then send required quantities to subcontractors for value-added processing; or we ship the raw materials directly from Hawaii to the processors. For our beverage products, value-added processing then occurs whereby the dried coffee fruit is converted to liquid extract through water based extraction. The extracts are then shipped from the raw materials processors to our California warehouse or directly to our bottling contractors. The bottling contractors then add our proprietary extract to other ingredients to produce our finished goods. Finished goods are shipped back to either our Company’s warehouse or third party transit agents and subsequently disseminated to either distributors or shipped directly to retailers. The process for production of our nutritional wellness products follows a similar manufacturing chain, but does not involve a bottling process. Inventories are valued at the lower of cost, as determined on an average basis, or market. Market value is determined by reference to selling prices at, or around, balance sheet date or by management’s estimates based on prevailing market conditions. Management writes down the inventories to market value if it is below cost. Management also regularly evaluates the composition of its inventories to identify slow-moving and obsolete inventories to determine if a valuation allowance is required. If a valuation allowance is required, an offsetting entry is made which expenses the reserved inventory to cost of goods sold during the period in which the valuation was required. Subsequently, if this reserved inventory is used in future periods, an offset is entered to cost of goods sold which decreases cost of goods sold during that subsequent period. Costs of raw material and finished goods inventories include purchase and related costs incurred in bringing the products to their present location and condition. Labor, direct and indirect overhead, and the processing, bottling and shipping costs incurred during 3rd party manufacturing are factored into the costs of our inventories. Sales revenue consists of amounts earned from customers through the sales of its finished products via wholesale and direct online retail channels. The Company also operates a branded ingredients division that sells raw material fruit powder and extracts to wholesale customers. Sales revenue is recognized when persuasive evidence of an arrangement exists, price is fixed or determinable, title to and risk of loss for the product has passed, which is generally when the products are received by the customers, and collectability is reasonably assured. Customers accept goods FOB shipping point. Goods are sold on a final sale basis and in the normal course of business the Company does not accept sales returns. In exceptional circumstances when negotiated, sales returns which are accepted goods are returned to inventory and deducted from sales revenue. Cost of goods sold ('COGS') primarily consist of raw materials purchases and third party processing costs. COGS also include: warehousing and distribution costs for inbound freight charges; shipping and handling costs; purchasing and receiving costs; costs for our labor; direct and indirect overhead costs; and the processing, bottling and shipping costs charged by 3rd party manufacturers. In accordance with ASC 740 - Income Taxes, the provision for income taxes is computed using the asset and liability method. Under the asset and liability method, deferred income tax assets and liabilities are determined based on the differences between the financial reporting and tax bases of assets and liabilities and are measured using the currently enacted tax rates and laws. A valuation allowance is provided for the amount of deferred tax assets that, based on available evidence, are not expected to be realized. The Company also follows the guidance related to accounting for income tax uncertainties. In accounting for uncertainty in income taxes, the Company recognizes the financial statement benefit of a tax position only after determining that the relevant tax authority would more likely than not sustain the position following an audit. For tax positions meeting the more likely than not threshold, the amount recognized in these financial statements is the benefit that has a greater than 50% likelihood of being realized upon ultimate settlement with the relevant tax authority. No liability for unrecognized tax benefits was recorded as of March 31, 2015 and December 31, 2014. Derivative Instruments and Hedging Activities; and ASC 815–40 (formerly Emerging Issues Task Force (“EITF”) Issue No. 00–19 and EITF 07–05), the Company evaluates its financial instruments to determine if such instruments are derivatives or contain features that qualify as embedded derivatives. For derivative financial instruments that are accounted for as liabilities, the derivative instrument is initially recorded at its fair value and is then re-valued at each reporting date, with changes in the fair value reported in the statements of operations. As of December 31, 2014, the Company had outstanding a senior convertible note with a balance of $140,001, net of a discount of $10,790 which the Company determined had an embedded derivative liability valued at $9,168 due to the senior convertible note agreement providing for adjustments to the conversion price. As of March 31, 2015, the Company had outstanding a senior convertible note with a balance of $216,101, net of a discount of $12,293 which the Company determined had an embedded derivative liability valued at $9,381 due to the senior convertible note agreement providing for adjustments to the conversion price. As of March 31, 2015, the Company also had outstanding an unsecured subordinate convertible debenture with a balance of $196,496, net of a discount of $213,630 which the Company determined had an embedded derivative liability valued at $253,630 due to the unsecured subordinated convertible debenture agreement providing for adjustments to the conversion price. Costs incurred in developing the ability to create and manufacture products for sale are included in research and development. Once a product is commercially feasible and starts to sell to third party customers, the classification of such costs as development costs stops and such costs are recorded as costs of production, which are included in cost of goods sold. Research and development costs are expensed when incurred. The Company computes loss per share in accordance with ASC 260, Earnings per Share. ASC 260 requires presentation of both basic and diluted earnings per share (“EPS”) on the face of the income statement. Basic EPS is computed by dividing net loss available to common shareholders (numerator) by the weighted average number of common shares outstanding (denominator) during the period. Diluted EPS gives effect to all dilutive potential common shares outstanding during the period including stock warrants and options, using the treasury stock method; and convertible preferred stock and convertible debt using the if-converted method. In computing diluted EPS, the average stock price for the period is used in determining the number of shares assumed to be purchased from the exercise of stock options or warrants. Diluted EPS excludes all dilutive potential common shares if their effect is anti-dilutive. The Company currently has options, warrants and convertible debt outstanding. Common stock equivalents pertaining to the options, warrants and convertible debt were not included in the computation of diluted net loss per common share in these financial statements because the effect would have been anti-dilutive due to the net losses for the periods ended March 31, 2015 and March 31, 2014. Financial instruments which potentially subject the Company to concentrations of credit risk consist of cash and trade receivables. The Company places its cash with high credit quality financial institutions. At times such cash may be in excess of the FDIC limit. With respect to trade receivables, the Company routinely assesses the financial strength of its customers and, as a consequence, believes that the receivable credit risk exposure is limited. As defined in ASC 820 “Fair Value Measurements”, fair value is the price that would be received to sell an asset or paid to transfer a liability in an orderly transaction between market participants at the measurement date (exit price). The Company utilizes market data or assumptions that market participants would use in pricing the asset or liability, including assumptions about risk and the risks inherent in the inputs to the valuation technique. These inputs can be readily observable, market corroborated, or generally unobservable. The Company classifies fair value balances based on the observability of those inputs. ASC 820 establishes a fair value hierarchy that prioritizes the inputs used to measure fair value. The hierarchy gives the highest priority to unadjusted quoted prices in active markets for identical assets or liabilities (level 1 measurement) and the lowest priority to unobservable inputs (level 3 measurement). Level 2 – Pricing inputs are other than quoted prices in active markets included in level 1, which are either directly or indirectly observable as of the reported date. Level 2 includes those financial instruments that are valued using models or other valuation methodologies. These models are primarily industry standard models that consider various assumptions, including quoted forward prices for commodities, time value, volatility factors, and current market and contractual prices for the underlying instruments, as well as other relevant economic measures. Substantially all of these assumptions are observable in the marketplace throughout the full term of the instrument, can be derived from observable data or are supported by observable levels at which transactions are executed in the marketplace. Instruments in this category generally include non-exchange-traded derivatives such as commodity swaps, interest rate swaps, options and collars. The Company's Level 1 assets and liabilities consist of cash, accounts receivable, inventories net, of any inventory allowance, prepaid expenses, other current assets, accounts payable and accrued liabilities, note payable and unearned revenue. Pursuant to ASC 820, the fair value of these assets and liabilities is determined based on Level 1 inputs, which consist of quoted prices in active markets for identical assets. Level 2 assets and liabilities consist of a derivative liability arising from a convertible note payable. Pursuant to ASC 820, the fair value of this liability is determined based on Level 2 inputs, which consisted of a valuation by an accredited third party expert. We do not currently have any assets or liabilities which are classified under the criterion of Level 3. It is management’s opinion that the Company is not exposed to significant interest, currency or credit risks arising from these financial instruments. Costs for advertising are expensed when incurred. Advertising costs totaled $68,164 and $15,341 for the periods ended March 31, 2015 and March 31, 2014, respectively. The Company also incurs marketing expenses for product promotion which are combined with advertising to form the advertising and marketing line item in our statement of operations. Excluding advertising, these other promotional costs totaled $56,777 and $169,746 for the periods ended March 31, 2015 and March 31, 2014, respectively. During the periods ended March 31, 2015 and March 31, 2014, depreciation of $747 and $nil, respectively, was recorded for furniture and Equipment; and depreciation of $231 and $nil, respectively, was recorded for warehouse fixtures. Accumulated depreciation for all fixed assets totaled $2,961 at March 31, 2015. Maintenance and repairs will be expensed as incurred while renewals and betterments will be capitalized. On April 7, 2015, the Financial Accounting Standards Board (“FASB”) issued Accounting Standard Update (“ASU”) 2015-03, Simplifying the Presentation of Debt Issuance Costs, which requires debt issuance costs related to a recognized debt liability to be presented on the balance sheet as a direct deduction from the debt liability, similar to the presentation of debt discounts. The ASU is effective for public business entities for fiscal years beginning after December 15, 2015, and interim periods within those fiscal years. Early application is permitted. The ASU requires retrospective application to all prior periods presented in the financial statements. The Company has elected not to early adopt ASU 2015-03. In January 2015, the FASB issued ASU 2015-01, Income Statement –Extraordinary and Unusual Items, as part of its initiative to reduce complexity in accounting standards. This Update eliminates from GAAP the concept of extraordinary items. The amendments in this Update are effective for fiscal years, and interim periods within those fiscal years, beginning after December 15, 2015. A reporting entity may apply the amendments prospectively. A reporting entity also may apply the amendments retrospectively to all prior periods presented in the financial statements. Early adoption is permitted provided that the guidance is applied from the beginning of the fiscal year of adoption. This Update is not expected to have a significant impact on the Company’s financial statements. In August 2014, the FASB issued ASU 2014-15, Presentation of Financial Statements - Going Concern. The new standard requires management of public and private companies to evaluate whether there is substantial doubt about the entity's ability to continue as a going concern and, if so, disclose that fact. Management will also be required to evaluate and disclose whether its plans alleviate that doubt. The standard requires management to evaluate, for each reporting period, whether there are conditions or events that raise substantial doubt about a company's ability to continue as a going concern within one year from the date the financial statements are issued. The new standard is effective for annual periods ending after December 15, 2016, and interim periods within annual periods beginning after December 15, 2016. Early adoption is permitted. The Company does not expect the adoption of the ASU to have a significant impact on our consolidated financial statements. On June 10, 2014, the FASB issued Accounting Standards Update ("ASU") No. 2014-10, which eliminates development stage reporting requirements under FASB ASC 915, as well as amends provisions of existing variable interest entity guidance under ASC 810. Additionally, the ASU indicates that the lack of commencement of principal operations represents a risk and uncertainty and, accordingly, is subject to the disclosure requirements of FASB ASC 275. As a result of the changes, existing development stage entity presentation and disclosure requirements are eliminated. The presentation and disclosure changes to FASB ASC 915 are effective for public entities for annual periods beginning after December 15, 2014, and the revisions to the consolidation standards are effective for annual periods beginning after December 15, 2015. We are not a development stage enterprise and have adopted this provision as required. On May 28, 2014, the FASB issued ASU 2014-09, Revenue from Contracts with Customers, which requires an entity to recognize the amount of revenue to which it expects to be entitled for the transfer of promised goods or services to customers. The ASU will replace most existing revenue recognition guidance in GAAP when it becomes effective. The new standard is effective for the Company on or after July 1, 2017. Early application is not permitted. The standard permits the use of either the retrospective or cumulative effect transition method. The Company is evaluating the effect that ASU 2014-09 will have on its financial statements and related disclosures. The Company has not yet selected a transition method nor has it determined the effect of the standard on its ongoing financial reporting. In April 2015, the FASB tentatively decided to defer for one year the effective date of ASU 2014-09. The FASB also tentatively decided to permit entities to early adopt the standard. The tentative decision will be exposed in an upcoming proposed ASU. In April 2014, the FASB issued ASU 2014-08, Presentation of Financial Statements (Topic 205) and Property, Plant, and Equipment (Topic 360): Reporting Discontinued Operations and Disclosures of Disposals of Components of an Entity. The amendments in this ASU change the criteria for reporting discontinued operations while enhancing disclosures in this area. Under the new guidance, only disposals representing a strategic shift in operations should be presented as discontinued operations. Those strategic shifts should have a major effect on the organization's operations and financial results and include disposals of a major geographic area, a major line of business, or a major equity method investment. The new guidance requires expanded disclosures about discontinued operations that will provide financial statement users with more information about the assets, liabilities, income, and expenses of discontinued operations. Additionally, the new guidance requires disclosure of the pre-tax income attributable to a disposal of a significant part of an organization that does not qualify for discontinued operations reporting. The amendments in the ASU are effective for public business entities for annual periods, and interim periods within those annual periods, beginning after December 15, 2014. The Company has adopted this pronouncement as required. The accompanying financial statements have been prepared on a going concern basis, which contemplates the realization of assets and satisfaction of liabilities in the normal course of business. Since inception, the Company has incurred losses totaling $16,825,056 as of March 31, 2015; and has a incurred a net loss for the current period of $544,036. These factors, among others, raise substantial doubt about the Company’s ability to continue as a going concern for a reasonable period of time. If necessary, the Company will pursue additional equity and/or debt financing while managing cash flows from operations in an effort to provide funds to meet its obligations on a timely basis and to support future business development. The financial statements do not contain any adjustments to reflect the possible future effects on the classification of assets or the amounts and classification of liabilities that may result should the Company be unable to continue as a going concern. To address these issues, on January 20, 2015 the Company executed an unsecured, subordinate convertible debenture which raised net $400,000. Additionally, the Company has in place an equity line share purchase agreement (the “Purchase Agreement”), pursuant to which we may make sales of shares of our common stock, subject to certain limitations set forth in the Purchase Agreement, if our share price is trading at or above a stipulated floor price. As of March 31, 2015 and December 31, 2014, the Company had $nil and $nil, respectively, of reserved inventory and all inventory was valued at full cost. There were no prepaid expenses at March 31, 2015. Prepaid expenses totaled $16,000 at December 31, 2014 and were comprised of prepayments to two service providers. There were no other current assets at March 31, 2015. Other current assets at December 31, 2014 totaled $652 and were comprised of a manufacturing deposit of $652 which was applied to production costs during the first quarter of 2015. Fixed assets at March 31, 2015 were comprised furniture and equipment totaling $8,988, net of accumulated depreciation of $2,214; and warehouse fixtures totaling $2,725, net of accumulated depreciation of $747. Fixed assets at December 31, 2014 were comprised furniture and equipment totaling $9,735, net of accumulated depreciation of $1,467; and warehouse fixtures totaling $2,956, net of accumulated depreciation of $516. On January 28, 2014, we entered into a patent settlement with VDF FutureCeuticals, Inc.("VDF") with respect to a prior action filed by VDF. In connection with the License Agreement and other agreements which formed the settlement, we issued a senior convertible note (the "Senior Convertible Note") to VDF, whereby we promised to pay VDF a principal amount equal to the sum of: (i) the aggregate amount of accrued and unpaid license fee payments, plus (ii) accrued interest on the Senior Convertible Note. The maturity of the Senior Convertible Note is December 31, 2018 unless the Senior Convertible Note is accelerated pursuant to an event of default or the License Agreement is terminated and all accrued and unpaid obligations under the Senior Convertible Note have been paid. Interest on the Senior Convertible Note is 7% per annum, subject to an adjustment to 12% for events of default. On the maturity date, we must pay VDF all principal, unpaid interest and late charges, if any, and we have the right, subject to certain limitations, to prepay principal at any time and from time to time. At any time VDF has the option to convert any principal outstanding on the Senior Convertible Note into shares of our common stock at a Conversion Price determined by the terms of the Senior Convertible Note. Key terms of the Senior Convertible Note include that: (i) VDF is granted an adjustment to the conversion price upon the issuance of shares of our common stock, stock options or other convertible securities; (ii) no indebtedness shall rank senior to the payments due under the Senior Convertible Note unless prior written consent of VDF is obtained; and (iii) payments under the Senior Convertible Note are secured by a Security Agreement (such agreement which was executed on January 28, 2014 and filed to the SEC along with other settlement agreements in a Form 8-K on February 3, 2014). The Senior Convertible Note provides that we may, at our option, have regularly scheduled License fee payments treated as debt and rolled over into the Senior Convertible Note which we have issued to VDF (see Note 11). To date, we have rolled-over three License fee payments of $75,000 each, plus accrued interest for the year ended December 31, 2014 of $791 for a total of $225,791, to create an outstanding balance of $216,101 on the Senior Convertible Note at March 31, 2015, after taking account of a net discount on the note of $12,293 arising from an embedded derivative (see Note 8). Originally the Conversion Price of the Senior Convertible Note was $0.65 per share. On December 19, 2014, this was adjusted to $0.6163 per share based on our issuance of stock options; and subsequent to the year ended December 31, 2014, on January 20, 2015 the Conversion Price was adjusted to $0.5623 based on our issuance of an unsecured subordinate convertible debenture to a third party (a copy such debenture which was filed to SEC in a Form 8-K on January 23, 2015). Interest of $2,603 accrued on the Senior Convertible Note during the three period ended March 31, 2015, which created total accrued interest on the unsecured subordinate debenture of $3,394. On January 20, 2015 (the “Issuance Date”), we entered into a Convertible Debt Purchase Agreement with a third party (“Lender”), for the issuance of up to $1,100,000 of unsecured subordinated convertible debentures (the “Unsecured Subordinate Debentures”) maturing 18 months from each issuance date. On the Issuance Date, the Company issued to Lender an Unsecured Subordinate Debenture with a face value principal amount of $440,000 (which includes $40,000 in original issue discount) for $400,000 in cash. The Company may issue to Lender an additional $660,000 in Unsecured Subordinate Debentures (the “Subsequent Debentures”), consisting of two additional convertible debenture, each in the face value principal amount of $330,000, including $30,000 of original issue discount, with one Unsecured Subordinate Debenture issuable upon the filing to the SEC of our Form 10-K for the year ended December 31, 2014 and the remaining Unsecured Subordinate Debenture issuable upon the filing of our Quarterly Report on Form 10-Q for the fiscal quarter ended June 30, 2014. The Unsecured Subordinate Debentures have an interest rate of 12% per annum, with each such Unsecured Subordinate Debenture maturing 18 months from issuance (each a “Maturity Date”). All or a portion of the outstanding principal balance of an Unsecured Subordinate Debenture may be prepaid before the relevant Maturity Date with a premium ranging from 105% to 125%. If the Company repays an Unsecured Subordinate Debenture on the relevant Maturity Date, no Prepayment Premium shall apply. The principal balance and accrued interest for each Unsecured Subordinate Debenture is convertible into the Company’s common stock (the “Common Stock”), at Lender’s option, at a “Conversion Price” of 55% multiplied by the Lowest Closing Price (which represents a discount rate of forty-five percent (45%)). The “Lowest Closing Price” shall be the lowest closing bid price of the Common Stock during the 25 consecutive trading days prior to such date as reported on www.NASDAQ.com. Lender has agreed to restrict its ability to convert the Unsecured Subordinate Debentures and receive shares of Common Stock such that the number of shares of Common Stock held by it in the aggregate and its affiliates after such conversion or exercise does not exceed 4.99% of the then issued and outstanding shares of Common Stock. The Unsecured Subordinate Debentures and the other securities issued to Lender pursuant to the Agreement were not registered under the Securities Act of 1933, as amended, in reliance upon the exemption from registration provided by Regulation D promulgated thereunder, which exempts transactions by an issuer not involving any public offering. These securities may not be offered or sold in the United States absent registration or an applicable exemption from the registration requirements. On March 31, 2015, the outstanding balance on the Unsecured Subordinate Debenture was $196,496, after taking account of a net discount of $213,630 arising from the original issue discount and an embedded derivative (see Note 8). Interest of $10,126 accrued on the Unsecured Subordinate Debenture during the three period ended March 31, 2015, which created total accrued interest on the Unsecured Subordinate Debenture of $10,126. In connection with the issuance of debt or equity instruments, the Company may sell options or warrants to purchase our common stock. In certain circumstances, the convertible debt, options or warrants may be classified as derivative liabilities, rather than as equity. Additionally, the debt or equity instruments may contain embedded derivative instruments, such as embedded derivative features which in certain circumstances may be required to be bifurcated from the associated host instrument and accounted for separately as a derivative instrument liability. The Company's derivative instrument liabilities are re-valued at the end of each reporting period, with changes in the fair value of the derivative liability recorded as charges or credits to income in the period in which the changes occur. For options, warrants and bifurcated embedded derivative features that are accounted for as derivative instrument liabilities, the Company estimates fair value using either quoted market prices of financial instruments with similar characteristics or other valuation techniques. The valuation techniques require assumptions related to the remaining term of the instruments and risk-free rates of return, our current common stock price and expected dividend yield, and the expected volatility of our common stock price over the life of the option. For the period ended March 31, 2015, the change in the fair market value of the derivative liability was $25,508 which was recorded as Other Income. The lattice methodology was used to value the derivative liabilities related to the convertible notes, with the following assumptions as of March 31, 2015 and December 31, 2014. President and Chief Executive Officer, Director, Board Chair. For the period ended March 31, 2015: (i) compensation of $32,500; (ii) Black-Scholes expense amortization of $54,483 related to 1,500,000 options granted on December 19, 2014 of which 750,000 vest on June 30, 2015 and 750,000 vest on December 31, 2015; and (ii) office rent of $3,900. For the period ended March 31, 2014: (i) compensation of $30,000; and (ii) Black-Scholes expense amortization of $55,643 related to 1,000,000 options granted on December 12, 2013, which never vested and were cancelled on December 19, 2014. Chief Financial Officer, Secretary and Treasurer: For the period ended March 31, 2015: (i) compensation of $31,250; and (ii) office rent of $2,250. For the period ended March 31, 2014: (i) consulting fees of $22,500; and (ii) a signing bonus expense for 50,000 shares at a price of $0.80 per share, for aggregate compensation of $40,000, was recorded as a stock payable commitment to our new CFO as of March 19, 2014. (Former) Chief Financial Officer, Secretary and Treasurer; spouse of President and CEO. For the period ended March 31, 2015: consulting fees of $375. For the period ended March 31, 2014: compensation of $16,500 from January 1 to March 17, 2014. (Former) Chief Scientific Officer; Director. For the period ended March 31, 2015: consulting fees of $4,000. For the period ended March 31, 2014: (i) payment of $60,000 as the final installment of CSO contract buy-out negotiated during fiscal 2013; and (ii) Black-Scholes expense amortization of $55,643 related to 1,000,000 options granted on December 12, 2013, which never vested and were cancelled on December 19, 2014. Directors: Related party transactions for one of our directors included: (i) for the period ended March 31, 2015: nil transactions; and (ii) for the period ended March 31, 2014: Black-Scholes expense recording of $114,236 for 750,000 options granted on December 19, 2014 which vested immediately and which were cancelled on December 19, 2014. At March 31, 2015 and December 31, 2014, the Company had related party accounts payable of $nil and $nil, respectively; and shareholder loans of $nil and $nil, respectively. Our authorized capital stock consists of 877,500,000 shares of common stock, with a par value of $0.001 per share; and 10,000 shares of preferred stock at a par value of 0.001. The holders of common stock have dividend rights, liquidation rights and voting rights of one vote for each share of common stock. There are no preferred shares issued and outstanding and the terms of any future preferred shares issuances will be as determined by the Board of Directors. As of March 31, 2015, there were 83,508,130 shares of our common stock issued and outstanding. On January 27, 2014, we issued 1,818,182 units to two investors in a non-brokered private placement, at a purchase price of $0.55 per unit for gross proceeds of $1,000,000. Each unit consisted of one share of our common stock and one non-transferable common share purchase warrant, with each warrant entitling the holder to acquire one additional share of our common stock at a price of $0.65 per share for a period of six years. We issued: (i) 681,818 of these units to one non-US person (as that term is defined in Regulation S of the Securities Act of 1933, as amended) in an offshore transaction in which we relied on the exemptions from the registration requirements provided for in Regulation S and/or Section 4(2) of the Securities Act of 1933, as amended; and (ii) 1,136,364 of these units to one US person, who is an accredited investor (as that term is defined in Rule 501 of Regulation D under the Securities Act of 1933, as amended), and in issuing these units to this person we relied on the exemptions from the registration requirements provided for in Rule 506 Regulation D and/or Section 4(a)(2) of the Securities Act of 1933, as amended. Pursuant to the securities purchase agreements with each investor, we also agreed to file a Form S-1 registration statement related to the transaction with the SEC covering the shares underlying the units (excluding shares issuable upon exercise of the warrants); such Form S-1, which also included shares related to our Equity Line (detailed below), was filed and subsequently deemed Effective by the SEC on May 8, 2014. During his term as a consultant to the Company, our new CFO was issued 50,000 restricted shares at $0.80 per share on April 14, 2014 and 25,000 restricted shares at $0.373 per share on August 19, 2014, each grant being valued based on market close price on issue date, for aggregate deemed compensation totaling $49,325. These shares were issued to one non-US person (as that term is defined in Regulation S of the Securities Act of 1933, as amended) in offshore transactions in which we relied on the exemptions from the registration requirements provided for in Regulation S and/or Section 4(2) of the Securities Act of 1933, as amended. On May 1, 2014, 25,000 restricted common shares were issued to our former VP/COO as a signing bonus at a price of $0.62 per share based on market close price on issue date, for aggregate deemed compensation of $15,500. These shares were issued to one US person, who is an accredited investor (as that term is defined in Rule 501 of Regulation D under the Securities Act of 1933, as amended), and in issuing these shares to this person we relied on the exemptions from the registration requirements provided for in Rule 506 Regulation D and/or Section 4(a)(2) of the Securities Act of 1933, as amended. On May 22, 2014 KonaRed Corporation filed a Form S-8 Registration Statement to register a total of 4,000,000 shares with the SEC to be used for director, officer and employee compensation share issuances. An initial group of these shares (the "Award Shares") were then separately registered under the Securities Act, by filing on June 4, 2014, as amended, a Post-Effective amendment to the Form S-8 Registration Statement which contained a re-offer prospectus in reference to the Award Shares. Allocation of the Award Shares included a compensation bonus of 250,499 shares to our CEO and 83,167 Award Shares to each of our three other directors at a price of $0.627 per share based on market close price on issue date, for aggregate deemed compensation for past services of $313,500. On October 1, 2014, 57,400 restricted common shares were issued to two employees for prior services rendered at a price of $0.3449 based on market close price on issue date for deemed compensation of $19,797. These shares were issued to US persons with reliance on the exemptions from the registration requirements provided for in Rule 506 Regulation D and/or Section 4(a)(2) of the Securities Act of 1933, as amended. During the year ended 2014, we issued a total of 4,052,759 restricted common shares to a service provider for services rendered. These issuances were: (i) 352,759 at $0.2835 per share on October 21, 2014; (ii) 2,000,000 at $0.251 on December 2, 2014; and (iii) 1,700,000 at $0.141 on December 31, 2014, for aggregate deemed compensation of $841,707, each grant being valued based on market close price on issue date. These shares were issued to one US person, who is an accredited investor (as that term is defined in Rule 501 of Regulation D under the Securities Act of 1933, as amended), and in issuing these shares to this person we relied on the exemptions from the registration requirements provided for in Rule 506 Regulation D and/or Section 4(a)(2) of the Securities Act of 1933, as amended. On February 6, 2015, 600 restricted common shares were issued to an employee for compensation and 11,000 restricted common shares were issued to a vendor for services rendered. These share issuances were both issued at a price of $0.0752 based on market close price on issue date for deemed payments totaling of $872. These shares were issued to US persons with reliance on the exemptions from the registration requirements provided for in Rule 506 Regulation D and/or Section 4(a)(2) of the Securities Act of 1933, as amended. On February 3, 2014, we entered into an Equity Line Agreement and a Registration Rights Agreement with an Illinois limited liability company (the "Investor"), pursuant to which we have the right to sell to the Investor of up to $12,000,000 in shares of our common stock, subject to certain limitations set forth in the Equity Line Agreement filed with the SEC in a Current Report on Form 8-K on February 5, 2014. The Term of the Equity Line is thirty months. As aforementioned, the shares related to this Equity Line were registered with the SEC in a Form S-1 which was deemed Effective on May 8, 2014. We may direct the Investor, at our sole discretion and subject to certain conditions, to purchase up to $100,000 worth of shares of our common stock on any single business day so long as at least one business day has passed since the most recent purchase. Such sales may increase up to a maximum of $500,000 per purchase, depending on the closing sale price of our common stock. The purchase price of such common stock sold to the Investor is based on the prevailing market price of our common stock preceding the time of any such sale with our company knowing the exact price prior to making sales, if any, to the Investor and we control the timing and amount of sales, if any, of common stock to the Investor. There are no upper limits to the price the Investor may pay to purchase our common stock. No sales of common stock to the Investor may occur below a floor price as set forth in the Purchase Agreement. In addition, we may direct the Investor to purchase additional amounts as accelerated purchases if on the date of a regular purchase the closing sale price of our common stock is not below the threshold price as set forth in the Purchase Agreement. Our sales of shares of common stock to the Investor under the Equity Line Agreement are limited to no more than the number of shares that would result in the beneficial ownership by the Investor and its affiliates, at any single point in time, of more than 9.99% of the then outstanding shares of our common stock. The Equity Line Agreement contains customary representations, warranties, covenants, closing conditions and indemnification and termination provisions by, among and for the benefit of the parties. the Investor has covenanted not to cause or engage in any manner whatsoever, any direct or indirect short selling or hedging of our shares of common stock. In consideration for entering into the Equity Line Agreement, we issued the Investor 872,727 common shares as a commitment fee (the “Commitment Shares”) and may issue up to 218,182 additional shares on a per share basis. During the year ended December 31, 2014, we issued 30,906 additional commitment shares during 17 transactions. The cost of the 903,633 shares issued for Equity Line underwriting fees have been recorded as a $904 debit to additional paid-in capital. The Commitment Shares were issued in reliance on an exemption from registration under the Securities Act of 1933, as amended (the “Securities Act”), pursuant to Section 4(2) thereof and Rule 506 of Regulation D promulgated thereunder, and were registered for sale under the Registration Statement on Form S-1 which was deemed Effective by the SEC on May 8, 2014. Actual sales of shares of common stock to the Investor under the Equity Line Agreement depend on a variety of factors to be determined by our Company from time to time, including (among others) market conditions, the trading price of our common stock and determinations by us as to available and appropriate sources of funding for our Company and its operations. The Equity Line Agreement may be terminated by us at any time at our discretion without any monetary cost to us. During the period ended March 31, 2015 we issued nil shares under the Equity Line. During the year ended December 31, 2014 we issued 3,697,889 shares under the Equity Line for aggregate proceeds of $1,700,001. On January 27, 2014, we issued 1,818,182 units to two investors in a non-brokered private placement at a purchase price of $0.55 per unit for gross proceeds of $1,000,000. Each unit was comprised of one common share and one six year warrant exercisable into one common share at a price of $0.65 per share. On November 25, 2013, the Company issued 250,000 three year options to purchase 250,000 restricted shares of common stock to a consultant ("Consultant") for past services rendered. The options vested immediately and are exercisable at $0.70 per share. The cost of these options was recorded as $173,806 at November 25, 2013 based on a Black-Scholes valuation using the inputs detailed below. On December 12, 2013, the Company adopted an incentive stock option plan (the "Stock Option Plan"). The Stock Option Plan allows for the issuance of up to 11,000,000 options to acquire 11,000,000 restricted shares of the Company's common stock, with a maximum exercise period of ten years, to be granted to eligible employees, officers, directors, and consultants. On December 12, 2013 3,000,000 options were granted under the Stock Option Plan to directors and officers of the Company. With respect to the options granted on December 12, 2013, for the years ended December 31, 2013 and December 31, 2014 Black-Scholes valuation costs were recorded as follows: (a) service period amortization of $47,141 for 2013 for 1,000,000 five year options granted to CEO exercisable at $0.45 per share with vesting after October 4, 2014 if the share price of the Company was above $1.00 per share; (b) service period amortization of $47,141 for 2013 for 1,000,000 five year options granted to (former) CSO ("Director One") exercisable at $0.45 per share with vesting after October 4, 2014 if the share price of the Company was above $1.00 per share; (c) expensing of $732,886 in 2013 for 1,000,000 five year options granted to (former) CFO exercisable at $0.74 per share which vested immediately. On December 19, 2014, all of above options grants were cancelled with the consent of the grantees. Due to the cancellation on December 19, 2014 of the unvested options which had been granted to the CEO and former CSO on December 12, 2013 and the 750,000 vested options which had been granted to Director Two on January 7, 2014, prior Black-Scholes expenses for these options were reversed for the year ended December 31, 2014. On December 19, 2014, 6,750,000 options were granted under the Stock Option Plan. Black-Scholes valuation costs for these options were recorded as follows based on the input factors detailed in the table below: (a) expensing of $152,314 for 1,000,000 five year options granted to CEO exercisable at $0.17 per share which vested immediately; (b) 2014 service period amortization of $7,511 for 1,500,000 options granted to CEO exercisable at $0.17 per share of which 750,000 vest on June 30, 2015, and 750,000 vest on December 31, 2015; (c) expensing of $152,314 each for individual grants of 1,000,000 five year options each granted to Director One and Employee exercisable at $0.17 per share which vested immediately; (d) expensing of $114,236 each for individual grants of 750,000 five year options each granted to Director Two, Director Three, and CFO exercisable at $0.17 per share which vested immediately. The expensing and amortization of all options grants have been credited to Additional Paid-In Capital. As detailed in Note 7, on January 20, 2015, we issued an Unsecured Subordinate Debenture with a face value principal of $440,000. The principal balance and accrued interest for the Unsecured Subordinate Debenture is convertible into the Company’s common stock (the “Common Stock”), at Lender’s option, at a “Conversion Price” of 55% multiplied by the Lowest Closing Price (which represents a discount rate of forty-five percent (45%)). The “Lowest Closing Price” shall be the lowest closing bid price of the Common Stock during the 25 consecutive trading days prior to such date as reported on www.NASDAQ.com. Lender has agreed to restrict its ability to convert the Unsecured Subordinate Debentures and receive shares of Common Stock such that the number of shares of Common Stock held by it in the aggregate and its affiliates after such conversion or exercise does not exceed 4.99% of the then issued and outstanding shares of Common Stock. The Unsecured Subordinate Debentures and the other securities issued to Lender pursuant to the Agreement were not registered under the Securities Act of 1933, as amended, in reliance upon the exemption from registration provided by Regulation D promulgated thereunder, which exempts transactions by an issuer not involving any public offering. These securities may not be offered or sold in the United States absent registration or an applicable exemption from the registration requirements. On March 27, 2015 we received correspondence from an attorney which alleged a service provider who provided us with social media postings services had violated the copyright of two related clients regarding certain pictures used by the service provider. The likelihood of a material loss in this matter is considered to be remote and any damages we may pay are not currently estimable. Various lawsuits, claims and other contingencies arise in the ordinary course of the Company’s business activities. As of the date of these financial statements, other than the aforementioned contingency we know of no threatened or pending lawsuits, claims or other similar contingencies. As part of our patent dispute settlement with VDF, on January 28, 2014 we entered into a coffee fruit patent license, Coffeeberry® trademark license and raw materials supply agreement (the "License Agreement") with VDF. Under the Settlement Agreement the parties mutually filed voluntary dismissals with respect to the foregoing claim and petition for cancelation. The parties released each other from liability arising or accruing prior to January 28, 2014 for past monetary damages for any patent infringements and all other claims that the parties brought or could have brought prior to January 28, 2014. In addition, our Company agreed to formally abandon all pending patent applications directed to coffee berries or coffee berry technology and cancel with prejudice all trademark proceedings. In exchange for our ongoing compliance with certain Alternative Minimum Payments and royalties (and the terms and conditions related to raw materials discussed below), VDF granted us a non-exclusive, non-transferrable, non-sublicensable license to use and practice certain VDF patent rights and a non-exclusive license to use certain VDF trademarks and trademark rights. VDF will supply us with raw materials. Negotiations were completed during November 2014 which created a mutually determined phase-in schedule for raw materials sales. We are also permitted to have raw materials manufactured by a third party (subject to some limitations) solely for the use in the products that we sell. Additionally, we must share with VDF all details of certain input raw materials. AMP's are due forty five days after the end of each reporting period. During the year ended December 31, 2014, we made a cash license payment to VDF of $75,000 for the June 30, 2014 period AMP, and rolled over into the Senior Convertible Note (see below) the AMPs for the periods ended September 30 and December 31, 2014. The Senior Convertible Note provides that we may, at our option, have regularly scheduled License fee payments treated as debt and rolled over into the Senior Convertible Note which we have issued to VDF. The maturity date of the Senior Convertible Note is December 31, 2018 unless: (i) the Senior Convertible Note is accelerated pursuant to an event of default, or (ii) the License Agreement is terminated and all accrued and unpaid obligations under the Senior Convertible Note have been paid. Interest on the Senior Convertible Note is 7% per annum, subject to adjustment to 12% for events of default. On the maturity date, we must pay VDF all principal, unpaid interest and late charges, if any, and we have the right, subject to certain limitations, to prepay principal at any time and from time to time. No indebtedness of our company shall rank senior to the payments due under the Senior Convertible Note unless prior written consent of VDF is obtained; and payments under the note are secured by the Security Agreement as described below. At any time and at the option of VDF, any principal outstanding under the Senior Convertible Note may be converted into shares of our common stock based on the terms of the Senior Convertible Note. Originally the Conversion Price of the Senior Convertible Note was $0.65 per share. On December 19, 2014, this was adjusted to $0.6163 per share based on our issuance of stock options; and subsequent to the year ended December 31, 2014, on January 20, 2015 the Conversion Price was adjusted to $0.5623 based on our issuance of an unsecured, subordinate convertible debenture to a third party. Under the Pledge and Security Agreement we pledged, collaterally assigned and granted to VDF, a security interest in all of our right, title and interest, whether now owned or hereafter acquired, in and to our Company’s property to secure the prompt and complete payment and performance of obligations existing under any of the agreements. As part of the patent settlement, we issued VDF a warrant (the "VDF Warrant") entitling VDF, from any time after the occurrence of a Warrant Exercise Event until the fifteenth anniversary of the issuance of the VDF Warrant, to purchase from our Company, shares of our common stock representing ten percent (10%) of our fully diluted outstanding shares of common stock at a purchase price of $0.001 per share. No circumstances have yet occurred which classify as a Warrant Exercise Event and therefore there is no right in place for VDF to exercise the VDF Warrant. our Company has a change of control as defined in the VDF Warrant. Under the Registration Rights Agreement we granted VDF or an assignee demand registration rights and incidental registration rights with respect to: (i) any shares of our common stock issued upon conversion of the Senior Convertible Note; (ii) any shares of our common stock issued upon exercise of the VDF Warrant; and (iii) any shares of our common stock acquired by VDF or an assignee from our Company after the date of the Registration Rights Agreement upon exercise or conversion of other convertible securities that are acquired by VDF or an assignee from our Company after the date of the Registration Rights Agreement. Pursuant to VDF’s demand registration right, at any time or from time to time, a holder or holders holding a majority of registrable securities then outstanding may require our Company to use our best efforts to effect the registration under the Securities Act of 1933, as amended, of all or part of their respective registrable securities (subject to any limits that may be imposed by the Securities and Exchange Commission pursuant to Rule 415 under the Securities Act), by delivering a written request to our company. In addition to the registration rights granted to VDF, there are restrictions on our granting of registration rights to other parties. Under the Investor Rights Agreement VDF has the right to designate that number of nominees to our board of directors such that the total number of directors designated by VDF is in proportion to its percentage ownership of the outstanding voting power of the Company. From and after the date of the Investor Rights Agreement and until such time as: (i) the Senior Convertible Note has terminated; (ii) the VDF Warrant has terminated or been exercised; and (iii) VDF’s percentage interest is less than 1%, if VDF does not have a designee on our board of directors, VDF shall have the right to appoint one individual as a non-voting observer entitled to attend meetings of our board of directors. Also pursuant to the Investor Rights Agreement, for so long as: (i) the Senior Convertible Note remains outstanding, (ii) the VDF Warrant remains outstanding, or (iii) VDF owns a percentage interest equal or greater to 10%, we will require VDF’s consent before taking certain corporate actions, including, among others: (a) amending our constating documents, (b) making any material change to the nature of our business, (c) incurring indebtedness exceeding $7,500,000 at any one time outstanding; or (d) declaring or paying dividends. Subsequent to the period ended March 31, 2015, on April 30, 2015, we issued 131,579 restricted common shares to our CFO as compensation at a price of $0.19 per share for aggregate deemed compensation of $25,000. These shares were issued to one non-US person (as that term is defined in Regulation S of the Securities Act of 1933, as amended) in offshore transactions in which we relied on the exemptions from the registration requirements provided for in Regulation S and/or Section 4(2) of the Securities Act of 1933, as amended. Subsequent to the period ended March 31, 2015, on May 1, 2015, we issued 300,00 restricted common shares to a service provider at a price of $0.20 per share for aggregate deemed fees of $60,000. These shares were issued to a US corporation, in accordance with exemptions from the registration requirements provided for in Rule 506 Regulation D and/or Section 4(a)(2) of the Securities Act of 1933, as amended. It was management's assessment that there were no other events which should be classified as subsequent events for the period of these financial statements. Certain information included herein contains forward-looking statements that involve risks and uncertainties within the meaning of Sections 27A of the Securities Act, as amended; Section 21E of the Securities Exchange Act of 1934. These sections provide that the safe harbor for forward looking statements does not apply to statements made in initial public offerings. The words, such as "may," "would," "could," "anticipate," "estimate," "plans," "potential," "projects," "continuing," "ongoing," "expects," "believe," "intend" and similar expressions and variations thereof are intended to identify forward-looking statements. These statements appear in a number of places in this Form 10-Q and include all statements that are not statements of historical fact regarding intent, belief or current expectations of the Company, our directors or our officers, with respect to, among other things: (i) our liquidity and capital resources; (ii) our financing opportunities and plans; (iii) continued development of business opportunities; (iv) market and other trends affecting our future financial condition; (v) our growth and operating strategy. Investors and prospective investors are cautioned that any such forward-looking statements are not guarantees of future performance and involve risks and uncertainties, and that actual results may differ materially from those projected in the forward-looking statements as a result of various factors. The factors that might cause such differences include, among others, the following: (i) we have incurred significant losses since our inception; (ii) any material inability to successfully develop our business plans; (iii) any adverse effect or limitations caused by government regulations; (iv) any adverse effect on our ability to obtain acceptable financing; (v) competitive factors; and (vi) other risks including those identified in our other filings with the Securities and Exchange Commission. The following discussion and the information provided contain forward-looking statements that reflect our plans, estimates and beliefs. Our actual results could differ materially from those discussed in the forward looking statements. Factors that could cause or contribute to such differences include, but are not limited to, those discussed below and elsewhere in this Report. Our actual results may differ materially from the results anticipated in any forward-looking statements in this Report due to a variety of factors, including, without limitation those set forth as "Risk Factors" in our Form S-1 which became Effective on December 16, 2014. This can be found along with all our filings to the SEC at www.sec.gov. KonaRed Corporation (hereinafter KonaRed Corporation may be referred to: "KonaRed Corporation", "KonaRed", "We”, “Us”, the “Registrant”, or the “Company”) was incorporated on October 4, 2010 in the state of Nevada. The Company was organized under the name TeamUpSports Inc. and on September 9, 2013 entered into an agreement (the "Asset Purchase Agreement") to acquire the assets of Sandwich Isles Trading Co, Inc. ("SITC"). SITC was incorporated in the State of Hawaii on August 22, 2008 and its operations, which we have taken over, include the business of distributing, marketing and selling beverages and other products produced from the fruit of the coffee plant. After the acquisition, as part of its business plans, the Company: changed its name from TeamUpSport Inc. to KonaRed Corporation; executed a 13.5 to one forward stock split of the authorized, and issued and outstanding shares of its common stock; and changed its year-end from May 31st to December 31st. The financial statements included in this Form 10-Q Report reflect the re-statement of some data from prior periods so as to conform to the revised shares amounts and the new year-end cycle. These financial statements have been prepared by the Company in accordance with accounting principles generally accepted in the United States. Unless otherwise stated, “$” refers to United States dollars. Our fiscal year end is December 31st. The Company’s common stock is publicly traded on the OTC Markets Group’s OTCQB under the symbol: KRED. Our principal product is our premium coffee fruit wellness drink, KonaRed Antioxidant Juice, offered to retail consumers across the United States and Canada. Previously discarded as a byproduct of coffee production, the fruit surrounding the coffee seed (coffee bean) has been recognized as containing powerful anti-oxidants. Our 10.5 oz. is also now also being featured at numerous retailers including Kroger locations. 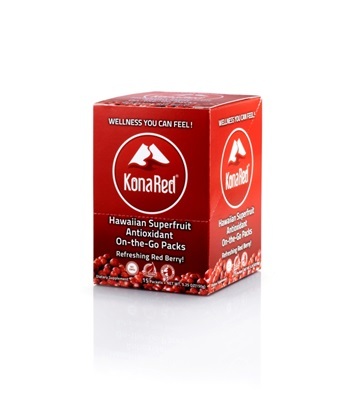 In total we offer 3 different beverages in the 10.5oz size: Original Hawaiian Coffeeberry, Hawaiian Coffeeberry with Organic Green Tea, and Hawaiian Coffeeberry with Coconut Water. The 16 oz. superfruit drink enjoys widespread placement in cold juice coolers in a myriad of retail major establishments including Walmart. A key element of our business is the License we have been provided by VDF FutureCeuticals Inc. ("VDF") which provides us with the use of VDF's coffee fruit patents and Coffeeberry® trademark license. The License Agreement has effectively formed a strategic alliance between KonaRed and VDF and eliminated competition and patent defense costs between the parties for rights to valuable proprietary coffee fruit research and development ("R&D"). Leveraging the R&D performed at our original Maui facility, we developed the necessary processing and manufacturing intellectual property (“IP”) for processing and manufacturing our base ingredient - the coffee fruit (and have subsequently merged this with the IP provided by VDF). The License Agreement provides us with access to use of VDF's patents, as existing and/or modified in the future, along with the processes, products, methods, compositions and know-how developed by VDF related to the patented Coffee Cherry related inventions, trade secrets and know-how. Our company utilizes an outsourcing business model which uses third parties for manufacturing and coffee fruit extraction, while maintaining in-house control of critical marketing, product development and warehousing/shipping functions. As we transitioned our coffee fruit extraction to contract manufacturers, we closed our Maui facility and moved extraction to a California-based contract manufacturer with close proximity of our San Clemente warehouse, which is comprised of a shared 10,000 square foot facility. Our company’s ability to secure exclusive Kona-based and other Hawaiian coffee fruit has elevated the stature of the home grown brand image and allows our Company to operate without constraints in the supply chain far out into the future. We have been successful in securing agreements structured as 5-year arrangements containing roll-over provisions. These agreements are based on our commitment to exclusively purchase coffee fruit from the supplier, and the supplier is obligated to provide coffee fruit exclusively to our company. Our Company’s principal supplier of raw coffee fruit is Greenwell Farms, Inc., a Hawaii corporation with a long established history as a major Hawaiian coffee supplier. We determine the amount of dried coffee fruit to purchase from our suppliers based on our annual sales forecasts and have historically been accurate at estimating supply quantities based on projected sales. Since the fruit surrounding the coffee bean was previously discarded as a byproduct of coffee production, such raw material has also remained readily available from coffee farms located in Hawaii and internationally. Therefore, although we currently have a principal supplier, in the event that we lose a principal supplier, we are confident that we would be able to secure raw material from other suppliers. Our production process is based on our company taking possession of the dried coffee fruit from the grower, shipping the dried coffee fruit to our San Clemente warehouse for storage, and then subsequently sending required quantities to subcontractors for value-added processing. The value-added processing consists of water based extraction whereby the dried coffee fruit is reduced to liquid extract. This processing generally takes approximately 24 hours to complete. For our company’s beverage production, the coffee fruit finished goods are sent to a third party flavor house which makes the KonaRed concentrate and then ships it to our company’s bottling vendors. Notably, we own the proprietary beverage formulas. Pallets of the ready-to-drink product items (defined as "Stock-keeping Units", or "SKUs") are then shipped back to our company’s warehouse, or third party inventory transit service providers, and disseminated to either distributors, or shipped directly to retailers. We believe our company has established a frontrunner position in the coffee fruit category, boasting a numerous retail entrees since its recent product launch. We first establish our products in the upstart coffee fruit sector on our home turf in Hawaii and then have expanded across the USA and Canada by winning placements at Walmart, Kroger, Vitamin Shoppe and other major retailers. Moving forward we plan to consolidate and expand on our domestic success and work toward developing international distribution opportunities in South East Asia, beginning with Japan, Korea and China. During the first quarter of 2015, we have begun the process of expansion into Japan by executing an agreement with Asplund Co. Ltd. for distribution of our beverage products into 250 retail stores specializing in nutritional products. The sales strategy for our beverage products is now centered on distribution using a master distributor with North American reach with entry into select markets such as Japan. With respect to our line of wellness supplement products, such as our 'On-The-Go Packets', and '100% Hawaiian CoffeeBerry® Powder in 16oz. Tubs', we ship directly from our warehouse to customers such as Vitamin Shoppe. Management has also retained manufacturers’ sales representatives who work to calibrate our overall sales efforts. During the roll-out, we've learned the importance of supporting our distributor network with internal “on the ground” sales personnel. Particularly for an emerging product, merchandising follow-up, dialog with store managers and coordination of promotions and pricing are critical in maintaining brand momentum. We focus our marketing efforts on in-store product demos, where our reps offer free samples to potential customers. Demos are often outsourced to specialists in the field and have represented a major expenditure for our business. Our company has employed co-op advertising and special promotions in conjunction with our retail partners when deemed appropriate in its brand building efforts. Although KonaRed was invented as a wellness product, we believe consumer acceptance of our beverage products now places us both within the 'functional beverage' and 'premium juice' retail categories. A 'functional beverage' is defined as one which has certain attributes, such as Antioxidants, whereas a 'premium juice' is simply a tasty product which consumers enjoy. We monitor industry pricing levels carefully and our beverage pricing levels are adjusted to reflect the current pricing dynamics. The entrance of leading beverage monoliths into the functional beverage category has tightened pricing but also created a vibrant mergers and acquisitions environment for emerging brands like KonaRed. Our long-term objective is to develop KonaRed into a nutritional company which supplies consumers with a variety of high quality food and beverage products. We plan to achieve this based on a strategy of expanding our retail footprint through a series of revenue generating distribution channels. The broadline distributors channel includes wholesalers who specialize in distribution of natural food products to retail stores. Examples of our broadline distributor customers presently include: United Natural Foods Inc. (“UNFI”), DPI Specialty Foods (“DPI”), and Nature’s Best. A broadline distributor services a wide variety of accounts with a wide variety of products ranging from food, beverages and supplies in the natural channel selling to retailers like Whole Foods Markets and Sprouts. During our growth phase we have developed a direct to retail sales channel to grocery stores such as Albertson’s and specialty retail stores such as Jamba Juice. We intend to continue to service and develop this channel further. Direct to retailer includes major retail chains with 500 locations or more where the KonaRed product ships direct to the retailers distribution centers and the retailers are responsible for the distribution to each retail store. We have historically had demand for coffee fruit raw ingredient materials and plan to expand this revenue channel in cooperation with VDF as opportunities arise. To develop this strategy we continually evaluate: product line sales, product line specific gross margin, individual products costs and pricing of individual product lines. Growth of our retail footprint will continue to be evaluated through the growth of our client base in each specific distribution channel. (5) development of new opportunities for raw material ingredient sales. The beverage industry is extremely competitive. The principal areas of competition include pricing, packaging, development of new products and flavors, and marketing campaigns. Our product is competing directly with a wide range of drinks produced by a relatively large number of manufacturers. Most of these brands have enjoyed broad, well-established national recognition for years, through well-funded ad and other marketing campaigns. In addition, companies manufacturing these products generally have far greater financial, marketing, and distribution resources than we do. Important factors that will affect our ability to compete successfully include taste and flavor of our product, trade and consumer promotions, the development of new, unique and cutting edge products, attractive and unique packaging, branded product advertising, pricing, and the success of our distribution network. We will also be competing to secure distributors who will agree to market our product over those of our competitors, provide stable and reliable distribution, and secure adequate shelf space in retail outlets. Our product will compete generally with all liquid refreshments, including numerous specialty beverages, such as: SoBe; Snapple; Arizona; Vitamin Water; Gatorade; and Powerade. We will compete directly with other consumer products participants in the nascent coffee fruit sector including Bai5 and SoZo Coffeeberry. As we are still a relatively new business and we have modest revenues, we believe that we are a small company in the general liquid refreshments market and health liquid refreshment market. KonaRed® is a registered trademark in the United States and in Japan and we intend to seek a number of trademarks for slogans and product designs. We also hold trademark rights to the “Paradise in a Bottle®” tag line; and rights to a suite of international CoffeeBerry® trademarks provided under our License with VDF. We believe we have the rights to use the necessary processing and manufacturing intellectual property relating to processing and manufacturing our base ingredient (the coffee fruit) and our proprietary beverage formulas. However, we do not own the manufacturing process for making the finished beverages. We intend to aggressively assert our rights under trade secret, unfair competition, trademark and copyright laws to protect our intellectual property, including product design, product research and concepts and recognized trademarks. These rights are protected through the acquisition of patents and trademark registrations, the maintenance of trade secrets, the development of trade dress, and, where appropriate, litigation against those who are, in our opinion, infringing these rights. While there can be no assurance that registered trademarks will protect our proprietary information, we intend to assert our intellectual property rights against any infringer. Although any assertion of our rights could result in a substantial cost to, and diversion of effort by, our Company, management believes that the protection of our intellectual property rights will be a key component of our operating strategy. Partnership Initiative with VDF FutureCeuticals Inc.
We are in partnership with VDF FutureCeuticals, Inc. ('VDF') for the development of the coffee fruit market. VDF (www.futureceuticals.com) is a leader in the bio-research, development, and manufacture of high-quality fruit, vegetable, and grain-based nutraceutical and functional food ingredients. VDF is committed to discovery-based research that leads to the expansion of human health, and is the trusted partner-of-choice for companies in search of creative, ethical solutions for the health and wellness needs of today’s consumer. Its sister company, Van Drunen Farms, was founded over one hundred years ago, and has grown into one of the largest dried food ingredient manufacturers and suppliers in the world. VDF is a major biotech and ingredient supplier and owner of the patent-protected CoffeeBerry® coffee fruit technology, a proprietary set of agricultural and industrial processes and a line of unique ingredients. VDF's patents and processes capture the same potent nutrition inherent in coffee fruit which had formed the basis of two provisional patent applications made by KonaRed based on the proprietary research and development which had been fully developed by KonaRed. The partnership brings together the flavor profile of KonaRed’s beverages and the ingenuity, innovation, and ongoing chemistry and clinical research of VDF’s globally integrated CoffeeBerry® coffee fruit ingredient platform. The sales of our products are influenced to some extent by weather conditions in the markets in which we operate. Unusually cold or rainy weather during the summer months may have a temporary effect on the demand for our product and contribute to lower sales, which could have an adverse effect on our results of operations for such periods. Our R&D has focused on quinic acid, an antioxidant that is in greater abundance in the KonaRed beverage than any other molecule. With a molar mass of 192.17 g/mol, quinic acid is small by comparison to other organic chemicals known as polyphenols. Much of our research has been directed towards attempts to confirm whether there is a correlation between small molecular mass and high bioavailability (the body’s ability to readily absorb a substance introduced). In addition, our research has been focused on whether antioxidants with a high oxygen radical absorbance capacity, a method of measuring antioxidant capacities in biological samples, and a high bioavailability may provide a way to increase one’s cellular metabolic efficiency (“CME”). We believe that it is possible that increased CME may result in increased energy, reduction of metabolic oxygen related stress at the cellular level and reduction of inflammation. We intend to continue our research to the extent of our limited funds and to examine whether the consumption of KonaRed products, if established as substances that increase CME, might provide positive effects on human health by decelerating the death of cells without negative side effects. Such research is in a very preliminary stage, there is no proof that KonaRed can produce health benefits for humans, and we do not have the funds required to conduct an extensive research program on the matter. In 2012, a series of tests were conducted at Cayetano University in Lima, Peru by a team of research physicians to determine the antiviral and anti-inflammatory properties of KonaRed in a clinical environment. The Cayetano University studies were commissioned by our Company. They were in-vitro (test tube) based studies and not human trials. The KonaRed extract was found to improve cell viability, increase T cell proliferation and improve antiviral defense. The foregoing conclusions were based on the results of antiviral activity and cell proliferate effect of KonaRed on mice. In these limited tests, KonaRed’s coffee fruit demonstrated an antiviral effect, improving cell viability, increasing T cell proliferation and improving antiviral defense. The body’s first line of defense against viruses is the immune system. This comprises cells and other mechanisms that defend the host from infection in a non-specific manner. Because viruses use vital metabolic pathways within host cells to replicate, they are difficult to eliminate without using drugs that cause toxic effects to host cells in general. The foregoing limited studies suggested that KonaRed beverage’s coffee fruit could have antiviral effects upon consumption by humans. As in any research and development program, further investigation and study is required. Whether KonaRed's beverage ultimately proves to be a useful CME supplement, and does so without negative effectives, and whether the promotion of CME proves to have therapeutic effects on humans, is unknown. To the extent our Company has funds available for research and development, management intends to pursue this line of research and investigation on a limited basis. KonaRed continues to push forward on the science behind the Coffee Fruit. Resulting from our study on the effects of coffee fruit on inflammation and boosting immunity, we announced positive results for the effect of coffee fruit on anti-inflammation, immunostimulatory and antiviral effects of coffee fruit at the 15th International Congress of Immunology held in Milan, Italy on August 22 to 27, 2013. Researchers from the Universidad Peruana Cayetano Heredia, Department of Cellular and Molecular Sciences, Lima, Peru, led by Dr. Jose L. Aguilar presented the research paper "Anti-inflammatory, Immunostimulatory and Antiviral effects of Coffee fruit (Coffea arabica)" and concluded "CFE showed anti-inflammatory properties on cellular and humoral levels supported by histological techniques. CFE decreased the secretion of pro-inflammatory cytokines such us IL6, TNFα and also MCP-1, thus diminishing cellular infiltration. Conversely, under viral simulation, CFE stimulated T cell proliferation and increased the percentage and activated cytotoxic T cells. Therefore, these results could attribute coffee fruit immunomodulatory and antiviral properties." 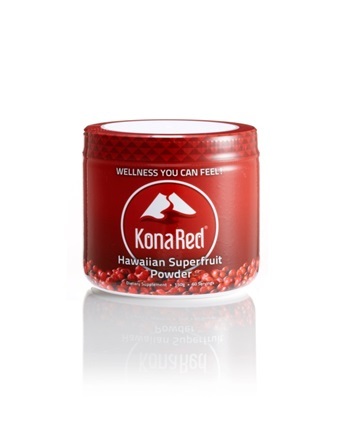 These results were presented at the annual conference of the International Congress of Immunology held in Milan Italy and demonstrate the efficaciousness of the active ingredients in KonaRed the Hawaiian Superfruit Antioxidant Wellness Beverage sold throughout Hawaii and select US markets. Our products are considered to be synonymous with coffee for regulatory purposes and are thus sold under the U.S. Food and Drug Administration’s (“FDA”) “Generally Regarded as Safe” (“GRAS”) regulatory umbrella. Accordingly, we are not required to petition for FDA approval of our coffee fruit offerings, which would be typical under standard dietary supplement guidelines. However, our Company has registered all of its supply chain subcontractors with the FDA as required and has met and answered all inquiries by the FDA. We believe we are in full compliance with all FDA regulations. The advertising, distribution, labeling, production, safety, sale, and transportation in the United States of our product are subject to: the Federal Food, Drug, and Cosmetic Act; the Federal Trade Commission Act; the Lanham Act; state consumer protection laws; competition laws; federal, state and local workplace health and safety laws; various federal, state and local environmental protection laws; and various other federal, state and local statutes and regulations. It will be our policy to comply with any and all legal requirements. In addition to Shaun Roberts, who is our president, chief executive officer and a director and John Dawe, who is our chief financing officer, treasurer, secretary and director, we currently employ 7 full time and 3 part employees whom all work in the United States. Our operations are overseen directly by management that engages our employees to carry on our business. Our management oversees all responsibilities in the areas of corporate administration, business development, and research; and as needed we engage the services of other professionals for legal, audit and other technical services. We intend to expand our current management to retain other skilled directors, officers, and employees with experience relevant to our business focus. Our management’s relationships will provide the foundation through which we expect to grow our business in the future. We believe that the skill-set of our management team will be a primary asset in the development of our brands and trademarks. Our corporate office is located at 2829 Ala Kalanikaumaka St. Suite F-133 Koloa, HI 96756. This leased property consists of approximately 1,000 square feet of office space. Our warehouse and distribution center is located at 1101 Via Callejon - #200, San Clemente, California 92673-4230 comprised of 2,558 square feet of office area and 8,344 square feet of warehouse area. Our company shares a two-year lease for this 10,000 square foot facility with Malie, Inc., (“Malie”) a company owned by our CEO and his spouse. On March 17, 2013, the Company and Malie extended the lease for an additional 24 month term to May 31, 2016 and committed to total lease payments of: (i) $9,812 for June 1, 2014 to May 31,2015; and (ii) $10,139 for June 1, 2015 to May 31, 2016. The Company's portion of payments under the extended term are: (i) 7,539 for June 1, 2014 to May 31,2015; and (ii) $7,790 for June 1, 2015 to May 31, 2016. We believe that the condition of our principal office and warehouse are satisfactory, suitable and adequate for our current needs. Fixed assets currently shown on our balance sheet are comprised of furniture and warehouse fixtures and at present the Company has other no material property balances which are classified as assets under generally accepted accounting principles. Distribution Milestone - By year end December 31, 2014 we had added 14 new DSD locations to expand our broadline distribution network to a total of 43 locations. CEO Shaun Roberts chosen as a contributor for the Food Navigator-USA & BeverageDaily Innovation Summit. On February 4, 2015, CEO Roberts served as an expert panelist on “Live! Entrepreneurs to Watch” broadcast. Whole Foods Market begins offering KonaRed’s On-the-Go Powder Packs and Powder Tubs. These new deliveries flowing through key distributor, United Natural Foods Inc. ('UNFI') were the first going out to a group of 12 Whole Foods Stores located in multiple states including California with stores in Venice, El Segundo, West Hollywood and San Luis Obispo. In-store customer demos expand at 225 Kroger and Kroger Banner stores across the nation. 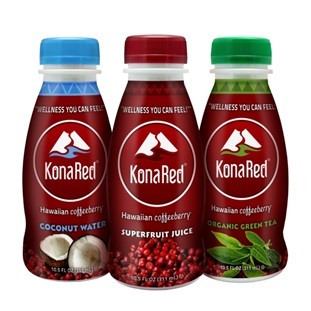 During February 2015, KonaRed demoed all three of its beverage flavors including Hawaiian Superfruit Antioxidant Juice Original, Hawaiian Superfruit Antioxidant Juice with Coconut Water, and Hawaiian Superfruit Antioxidant Juice with Organic Green Tea at 225 Kroger, King Soopers, Ralph's and Fred Meyer stores. New distributor, Natural Foods Center is added to KonaRed distribution network. Natural Foods Center is a Northwest based company that warehouses and distributes natural, organic, specialty and gluten free foods in the Northwest region, Alaska and the West Coast. 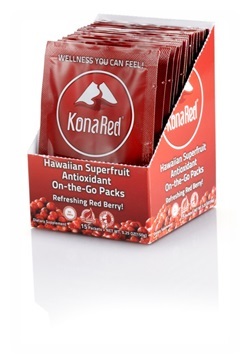 KonaRed will use Natural Foods Center as a distributor for its KonaRed Superfruit Powder On-the-Go Packs and Tubs. We have now begun the process of expansion into Japan by executing an agreement with Asplund Co. Ltd. for distribution of our beverage products into 250 retail stores specializing in nutritional products. The financial statements of the company have been prepared in accordance with the accounting principles generally accepted in the United States of America ('GAAP'). Inventories are primarily raw materials and finished goods. Inventories are valued at the lower of, cost as determined on an average basis, or market. Market value is determined by reference to selling prices at, or around, balance sheet date or by management’s estimates based on prevailing market conditions. Management writes down the inventories to market value if it is below cost. Management also regularly evaluates the composition of its inventories to identify slow-moving and obsolete inventories to determine if valuation allowance is required. Costs of raw material and finish goods inventories include purchase and related costs incurred in bringing the products to their present location and condition. Sales revenue consists of amounts earned from customers through the sale of its consumer products and from delivery fees. Sales revenue is recognized when persuasive evidence of an arrangement exists, price is fixed or determinable, title to and risk of loss for the product has passed, which is generally when the products are received by the customers, and collectability is reasonably assured. Customers accept good FOB shipping point. Goods are sold on a final sale basis and in the normal course of business the Company does not accept sales returns. Cost of goods sold consists primarily of selling of raw materials and finished goods purchased from vendors as well as warehousing and distribution costs such as inbound freight charges, shipping and handling costs, purchasing and receiving costs. Net sales are comprised of product sales and shipping and delivery fees. During the period ended March 31, 2015 we recorded net sales of $239,665 compared with net sales of $444,942 for the period ended March 31, 2014, representing an decrease of 46%. Comparative product sales for the periods ended March 31, 2015 and March 31, 2014 were $235,240 versus $406,288, respectively; and comparative shipping and delivery fees for the periods ended March 31, 2015 and March 31, 2014 were $4,425 and $38,654, respectively. We attribute the comparative decrease in net sales to reductions we made to marketing and advertising during the last quarter of fiscal 2014 and the first quarter of 2015 due to capital restraints. As referenced in our Description of Business above, our production is based on an outsourcing business model which utilizes third parties for the bulk of our non-core business operations, such as coffee fruit extraction and product manufacturing. The main component of our cost of goods sold ('COGS') relates to costing the finished goods which are drawn from our inventory when sold. These finished goods primarily include bottles of different types of our coffee beverages in various container and lot sizes which have been manufactured in a staged process for us by third parties and delivered to our warehouse, or to inventory logistics service providers, for distribution. Costing is done on applying specific unit sales to unit product costs based on the costs per unit recorded in our inventory system. Costs per unit in the inventory system include per unit manufacturing charges from outsource manufacturers. For the periods ended March 31, 2015 and March 31, 2014, COGS were $194,406 and $336,187, or 81% and 76% of sales. This corresponds to gross margin percentages of 19% and 24%. We attribute part of the relatively higher COGS for the current period to moderately higher processing and delivery costs which required for small production runs. As order flow becomes more steady we should benefit from regularized shipping arrangements and the economies of scale of larger production runs. We project COGS will decrease during fiscal 2015 and gross margin will improve. Additionally, we are now in the process of re-aligning our sales mix and re-starting our raw material ingredients sales division in cooperation with VDF. Sales of wholesale raw material ingredients earn a higher gross margin than our consumer products and are expected to contribute to an improvement in overall gross margin. COGS primary components for the periods ended March 31, 2015 and March 31, 2014 were as follows: (i) manufacturing costs, which include both in-house and outsourced manufacturing costs, totaled $149,555 versus $267,991, respectively; (ii) customer shipping which totaled $26,224 versus $45,417, respectively; (iii) shipping and inventory delivery which totaled $10,036 versus $22,350, respectively. and (iv) packaging which totaled $5,890 versus $5,790, respectively. Research and development costs were minimal for both periods ended March 31, 2015 and March 31, 2104. We project R&D costs will remain near current levels during the balance of fiscal 2015. Advertising and marketing costs were $124,941 and $185,087 respectively for the periods ended March 31, 2015 versus March 31, 2014, representing a comparative decrease of 33%. The primary components of advertising and marketing expenses for the periods ended March 31, 2015 and March 31, 2014 were as follows: (i) advertising and graphic art costs were $70,827 versus $33,466, respectively; (ii) the cost of free sample demos was $4,119 versus $73,206, respectively; and (iii) other marketing expenses including marketing fees paid to our master distributor, sponsorship and public relations initiatives totaled $49,995 and $78,415, respectively. We project advertising and marketing costs will increase during the balance of fiscal 2015. General and administrative ('G&A') costs were $457,100 for the period ended March 31, 2015 compared to $426,450 for the period ended March 31, 2014, representing an increase of 7%. The primary components of G&A for the periods ended March 31, 2015 and March 31, 2014 were as follows: (i) payroll of $162,096 versus $150,915, respectively; (ii) professional and consultant fees of $59,539 versus $133,024, respectively; (iii) VDF License fees of $75,000 versus $nil, respectively; and (iv) rent expenses of $22,228 versus $23,818, respectively. We project general and administrative expenses will increase moderately during the balance of fiscal 2015. Interest expense, including amortizations related to derivatives created by issuance of convertible securities, totaled $32,762 for the period ended March 31, 2015 versus $nil for the period ended March 31, 2014. We project that interest expenses will remain at current levels during the balance of fiscal 2015. During the periods ended March 31, 2015 and March 31, 2014, we recorded other income of $25,508 and $nil, respectively. Other income for the period ended March 31, 2015 was comprised of a non-cash entry to record a change in the fair market values of derivative liabilities related to our issuance of convertible securities. Other than further non-cash derivative related gains or losses which may arise during the coming year, we do not project further other income items during the balance of fiscal 2015. Our net losses for the periods ended March 31, 2015 and March 31, 2014 were $544,036, or $0.01 per share, versus $506,082, or $0.01 per share. As of March 31, 2015 we had cash on hand of $240,536, accounts receivable of $239,579, inventory of $471,248, prepaid expenses of $nil, and other current assets of $nil. This compares with cash of $39,987, accounts receivable of $278,240, inventory of $508,338, prepaid expenses of $16,000, and other current assets of $652 for the period ended December 31, 2014. Our net working capital decreased to a balance of $7,719 at March 31, 2015 from a balance of $495,422 at December 31, 2014. At present, we estimate we will need to raise capital during the coming twelve months to fund our strategic plans. Key elements comprising the comparative figures for Net cash (used) by Operating Activities for the periods ended March 31, 2015 and March 31, 2014 include: (i) net losses of $544,036 and $506,082, respectively; (ii) non-cash options amortization costs of $54,483 and $nil, respectively; (iii) an increase of $113,091 and a decrease of $85,529 in accounts payable, respectively; (iv) an increase of $38,661 and a decrease of $149,797 in accounts receivable, respectively; and (v) an increase of $37,090 and a decrease of $259,543 in inventory, respectively. On January 28, 2014, pursuant to our patent settlement with VDF, we issued a senior convertible note (the "Senior Convertible Note") to VDF, whereby we promised to pay VDF a principal amount equal to the sum of: (i) the aggregate amount of accrued and unpaid License fee payments, plus (ii) accrued interest on the Senior Convertible Note. The maturity of the Senior Convertible Note is December 31, 2018 unless the Senior Convertible Note is accelerated pursuant to an event of default or the License Agreement is terminated and all accrued and unpaid obligations under the Senior Convertible Note have been paid. Interest on the Senior Convertible Note is 7% per annum, subject to an adjustment to 12% for events of default. On the maturity date, we must pay VDF all principal, unpaid interest and late charges, if any, and we have the right, subject to certain limitations, to prepay principal at any time and from time to time. At any time VDF has the option to convert any principal outstanding on the Senior Convertible Note into shares of our common stock at a Conversion Price determined by the terms of the Senior Convertible Note. Key terms of the Senior Convertible Note include that: (i) VDF is granted an adjustment to the conversion price upon the issuance of shares of our common stock, stock options or other convertible securities; (ii) no indebtedness shall rank senior to the payments due under the Senior Convertible Note unless prior written consent of VDF is obtained; and (iii) payments under the Senior Convertible Note are secured by a Security Agreement. The Senior Convertible Note provides that we may, at our option, have regularly scheduled License fee payments treated as debt and rolled over into the Senior Convertible Note. To date, we have rolled-over three License fee payments of $75,000 each, plus accrued interest for the year ended December 31, 2014 of $791 for a total additions to the Senior Convertible Note balance of $225,791. Originally the Conversion Price of the Senior Convertible Note was $0.65 per share. On December 19, 2014, this was adjusted to $0.6163 per share based on our issuance of stock options; and subsequent to the year ended December 31, 2014, on January 20, 2015 the Conversion Price was adjusted to $0.5623 based on our issuance of an unsecured, subordinate convertible debenture. On March 31, 2015, the outstanding balance on the Unsecured Subordinate Debenture was $196,496, after taking account of a net discount of $253,630 arising from the original issue discount and an embedded derivative (see Note 8). Interest of $10,126 accrued on the Unsecured Subordinate Debenture during the three period ended March 31, 2015, which created total accrued interest on the Unsecured Subordinate Debenture of $10,126. Other than the Senior Convertible Note and Unsecured Subordinate Debentures, there was no other debt outstanding at March 31, 2015. For the period ended March 31, 2015, the change in the fair market value of the derivative liability of $25,508 was recorded as Other Income. We had no significant off-balance sheet arrangements at December 31, 2014 that have or are reasonably likely to have a current or future effect on our financial condition, changes in financial condition, revenues or expenses, results of operations, liquidity, capital expenditures or capital resources that is material to stockholders. Our reporting currency is United States Dollars. Our transactions are primarily conducted in US$ but may also include transactions in other currencies. Foreign currency rate fluctuations may have a material impact on the Company’s financial reporting. These fluctuations may have positive or negative impacts on the results of operations of the Company. We have not entered into derivative contracts either to hedge existing risk or for speculative purposes. As required by Rule 13a-15(b) under the Securities Exchange Act of 1934, as amended, (the “Exchange Act”) our management conducted an evaluation (under the supervision and with the participation of our President and Chief Executive Officer, Shaun Roberts, and our Chief Financial Officer, John Dawe) as of the end of the period covered by this Quarterly Report on Form 10-Q, of the effectiveness of our disclosure controls and procedures as defined in Rules 13a-15(e) and 15d-15(e) under the Exchange Act. Based on that evaluation, Mr. Roberts and Mr. Dawe each concluded that our disclosure controls and procedures are effective to provide reasonable assurance that information required to be disclosed in the reports that we file or submit under the Exchange Act, (i) is recorded, processed, summarized and reported within the time periods specified in the Securities and Exchange Commission’s rules and forms and (ii) is accumulated and communicated to our management, including Mr. Roberts and Mr. Dawe, as appropriate to allow timely decisions regarding required disclosure. B. Management’s Report on Internal Control Over Financial Reporting. Our management is responsible for establishing and maintaining adequate internal control over financial reporting, as such term is defined in Exchange Act Rules 13a-15(f) and 15d-15(f). Our internal control system is designed to provide reasonable assurance to our management and Board of Directors regarding the reliability of financial reporting and the preparation and fair presentation of financial statements for external purposes in accordance with generally accepted accounting principles. Because of its inherent limitations, internal control over financial reporting may not prevent or detect misstatements. Also, projections of any evaluation of effectiveness to future periods are subject to the risk that controls may become inadequate because of changes in conditions, or that the degree of compliance with the policies or procedures may deteriorate. Management has assessed the effectiveness of our internal control over financial reporting as of March 31, 2015. Management’s assessment was based on criteria set forth in Internal Control - Integrated Framework (1992), issued by the Committee of Sponsoring Organizations of the Treadway Commission (COSO). Based upon this assessment, management concluded that, as of March 31, 2015, our internal control over financial reporting was not effective, based upon those criteria, as a result of the identification of the material weaknesses described below. A material weakness is a deficiency or combination of deficiencies in internal control over financial reporting, such that there is a reasonable possibility that a material misstatement of the annual or interim financial statements will not be prevented or detected on a timely basis. Specifically, management identified the following control weaknesses: (i) the Company has not implemented measures that would prevent one individual from overriding the internal control system. The Company does not believe that this control weakness has resulted in deficient financial reporting because the Chief Financial Officer is aware of his responsibilities under the SEC's reporting requirements and personally certifies the financial reports; and (ii) The Company utilizes accounting software that does not prevent erroneous or unauthorized changes to previous reporting periods and/or can be adjusted so as not to provide an adequate audit trail of entries made in the accounting software. Accordingly, while the Company has identified certain material weaknesses in its system of internal control over financial reporting, it believes that it has taken reasonable steps to ascertain that the financial information contained in this report is in accordance with generally accepted accounting principles. Management has determined that current resources would be appropriately applied elsewhere and when resources permit, they will alleviate material weaknesses through various steps. C. Changes in Internal Control Over Financial Reporting. There have been no changes in our internal control over financial reporting identified in connection with the evaluation required by Rule 13a-15(d) of the Exchange Act that occurred during the quarter ended March 31, 2015 that have materially affected, or are reasonably likely to materially affect, our internal control over financial reporting. Other than the aforementioned matter, there are no material, active, or pending legal proceedings against us, nor are we involved as a plaintiff in any material proceedings or pending litigation. There are no proceedings in which any of our officer and director, or any registered or beneficial shareholders are an adverse party or has a material interest adverse to us.